HMD Global unveiled five phones ahead of the Mobile World Congress (MWC) last week, but it was one in particular that grabbed all the headlines. That of course was the Nokia 9 PureView, the first mainstream smartphone to feature a five-camera setup on the rear. The smartphone packs two colour (RGB) and three monochrome 12-megapixel sensors, all with the same f/1.82 aperture and field-of-view. It also marks a revival of the PureView brand, first seen on the Nokia 808, followed by the Nokia Lumia 1020 (apart from a couple of other Lumia phones), both of which packed 41-megapixel sensors. 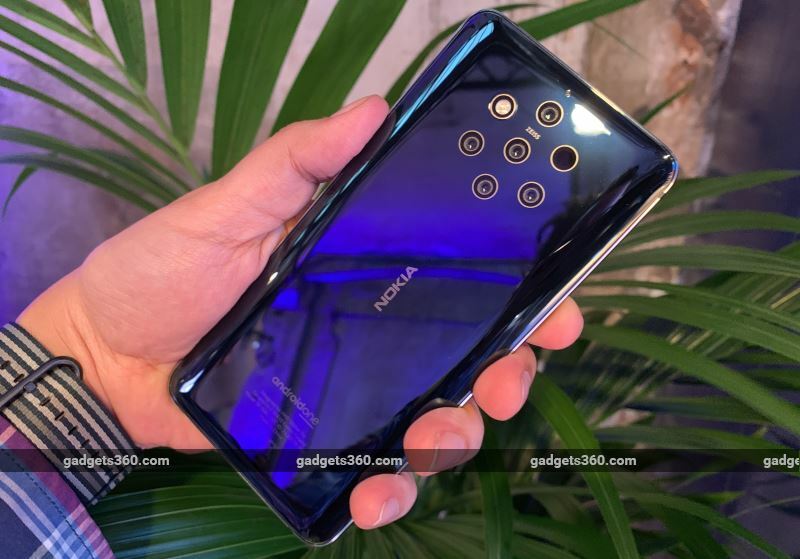 In that sense, the Nokia 9 PureView is a phone that many have been anticipating ever since HMD Global revived the Nokia brand a little over two years ago. Manufacturers have usually gone down two different routes with multi-lens camera setups — the first involves offering different types of lenses for use in different scenarios. The other approach involves combining data from different sensors to create an image that (ideally) has more information than what would’ve been possible with a single sensor. While the approach itself isn’t new or pioneering in any way, throwing as many as five sensors at the problem certainly is an industry-first, and something that presented its unique challenges. That’s because the Nokia 9 PureView is configured to shoot up to four different frames from each sensor, at different exposures, every time you click a picture, if the algorithm determines that’s what’s necessary to capture the moment. This involved building a lot of custom tech and Gadgets 360 spoke to Juho Sarvikas, Chief Product Officer — HMD Global, to find out how everything comes together to delivery this enhanced imaging experience. Ultimately, HMD settled on the configuration wherein the colour sensors are in the middle (below the ZEISS branding), right below a monochrome sensor, with the two other monochrome sensors on either side. As for the number of sensors, Sarvikas says their testing showed “diminishing returns” beyond five sensors. “In different builds, we kept moving it around, because it does impact image quality, and also from the algorithm point of view it has an impact,” Sarvikas adds. Combining information from multiple sensors involves complex algorithms that depend, among other things, on knowing the relative positioning of the sensors in a 3D plane. A minuscule difference in positioning of one lens can ruin the results, so HMD had to make special arrangements to account for the inevitable vagaries of the manufacturing process. “This is done once, in manufacturing, but everyone is unique, so you need to be able to dynamically take that into account,” Sarvikas adds. He says the decision to go with five identical cameras was taken as asymmetric cameras would’ve further increased the complexity of the solution. 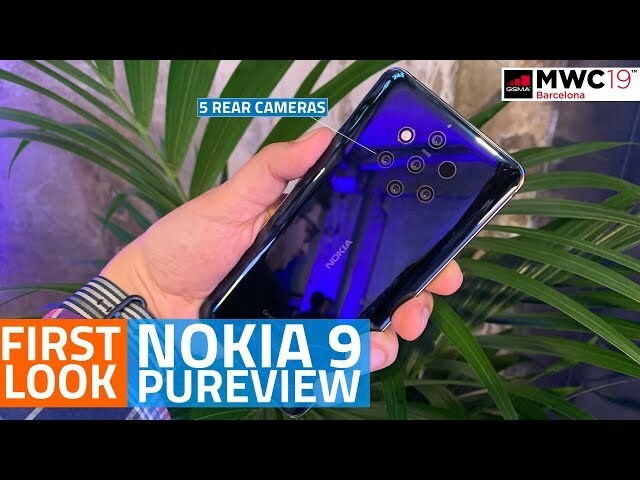 To develop the Nokia 9 PureView, HMD partnered with Light, the company behind the L16 camera with 16 individual 13-megapixel sensors that works on a similar principle. We asked Sarvikas what Light brings to the table. “The hardware is from them. The chip is from Light, and we’ve licensed their software solution, which of course we had to completely readapt and modify because the L16 is quite different than our camera right here, but it’s the same algorithm, same IP adapted for our solution,” he continues. Sarvikas then elaborates on some of the work done to minimise power consumption. We ask Sarvikas to confirm if the setup is indeed capturing 240-megapixels of data in certain scenarios, something Shroff had mentioned in passing earlier, as well as when and how that might happen. So do RBG and monochrome sensors work together at all times, or are there certain scenarios where on or the other might fire? One of the limitations of the technology in its current form is that there’s a delay of a few seconds when capturing an image using all five sensors simultaneously. Sarvikas says this won’t be going away anytime soon. Ajey Mehta, Vice President and Country Head, India – HMD Global says that the Nokia 9 PureView signals the start of a new chapter in innovation as far as HMD is concerned, and is hopeful these improvements will eventually trickle down to the budget devices as well.